The FDA issued a Refusal to File (RTF') letter related to its marketing application seeking approval for fenfluramine -named Fintepla- for the treatment of Dravet syndrome. The FDA cited two deficiencies: certain non-clinical studies were not included to allow for an assessment of chronic administration of fenfluramine and the wrong version of the dataset was submitted. Non-clinical studies -if required- will delay the new drug application 12-15 months potentially causing additional share price loss. Zogenix's future is completely dependent upon fenfluramine; a medication with a history of safety issues. If safety issues are discovered share price could trade for net cash. In business and in particular drug development, rarely do things go as planned. Zogenix (ZGNX) is a pharmaceutical company developing therapies for people living with serious and life-threatening rare central nervous system (CNS') conditions. Zogenix's lead product candidate Fintepla is low-dose fenfluramine for the treatment of seizures associated with two rare and catastrophic forms of childhood-onset epilepsy: Dravet syndrome and Lennox-Gastaut syndrome (LGS'). In February 2019, Zogenix completed the submission of a new drug application (NDA') with the FDA and submitted a marketing authorization application (MAA') to the European Medicines Agency (EMA'). The EMA has accepted the MAA and initiated its review. On April 8th, Zogenix announced it received a Refusal to File (RTF') letter from the FDA sending share price down 29% after hours. the FDA cited two reasons for the RTF decision: first, certain non-clinical studies were not submitted to allow assessment of the chronic administration of fenfluramine; and, second, the application contained an incorrect version of a clinical dataset, which prevented the completion of the review process that is necessary to support the filing of the NDA. The FDA has not requested or recommended additional clinical efficacy or safety studies. During a conference call, CEO Farr was asked numerous questions surrounding the non-clinical studies. Management appears to have been under the impression no additional non-clinical studies were required. While the EMA has accepted the application, questions were raised if the EMA may also seek additional non-clinical studies. While no serious safety issues have been reported with low-dose fenfluramine during clinical trials, that doesn't guarantee issues safety issues are non-existent with long-term use. 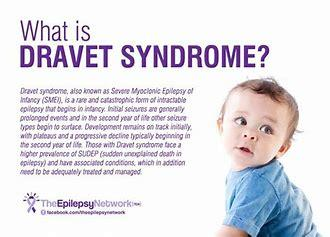 Given that Dravet syndrome begins in infancy and Fintepla would be prescribed to them, one would think management would have conducted long-term studies to alleviate FDA concerns. If the FDA does require additional non-clinical studies, and no safety issues are discovered investors should expect a minimum delay of 12-15 months. If safety issues are discovered, Fintepla could see significant delays and possibly rejection. Zogenix's future is heavily dependent upon fenfluramine. If Fintepla does have safety issues scripts will likely have difficulty gaining appreciable market share. No revenue, down from $9.8 million during 2017. Research and development expenses of $101 million, up from $67.4 million during 2017. Selling, general and administrative expenses totaled $39 million, up from $25.9 million during 2017. A net loss of $123.9 million or $3.27 per share, compared to the net loss of $126.8 million or $4.65 per share for 2017. Cash, cash equivalents and marketable securities totaled $514.2 million compared to $293.5 million for 2017. The FDA refusal to accept Zogenix's new drug application because of the lack of non-clinical chronic studies will likely delay possible approval of Fintepla by 12-15 months. Assuming 2020 and 2019 expenses remain the same as 2018 expenses of $140 million and no additional shares are issued, cash and equivalents would be depleted by approximately $175 million to ~$340 million. Using this scenario investors could see an additional $4 share price loss. If safety issues are discovered, a worse case scenario would be rejection. If the FDA does reject Fintepla share price could trade for net cash of ~$340 million or $8 per share. Zogenix's entire pipeline consists of fenfluramine applied to different CNS conditions. Given fenfluramine has a history of heart valve issues and pulmonary hypertension, the probability of company failure is high. If you are an investor or contemplating investing, one should be prepared for delays, and a declining share price. If no safety issues are discovered investors could see share price rebound. Zogenix is speculative and heavily dependent upon one drug with a history of safety issues that resulted with product withdrawal and multi-billion dollar lawsuits. While no serious safety issues have been reported with low doses of fenfluramine during clinical studies, that does't guarantee none will be seen with long-term use. Disclosure: I am/we are long ZGNX. I wrote this article myself, and it expresses my own opinions. I am not receiving compensation for it (other than from Seeking Alpha). I have no business relationship with any company whose stock is mentioned in this article. Additional disclosure: I am long through the sale of one 2021 $28 put.